SOUTH PORTLAND — The Mount Desert Island High School Big Group jazz ensemble was only a few bars into its opening number, “Baby Carrots,” when it became clear why the audience was standing-room-only at the Maine Music Educators Association’s Maine High School Instrumental Jazz Festival. With the opening click, click, click of a drumstick, the 19-member ensemble pulled off a performance worthy of a Greenwich Village jazz club. At the end of their performance, audience members leapt to their feet to clap and hoot in appreciation. 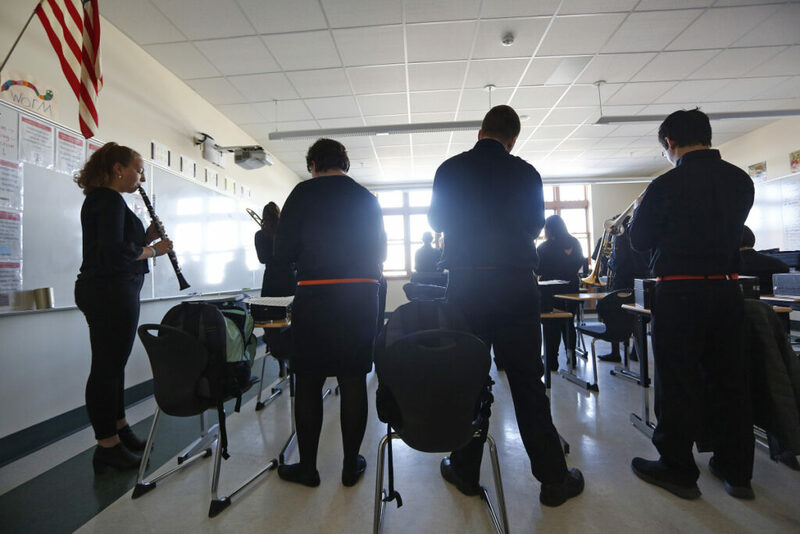 The Mount Desert Island High School Big Group was one of 80 ensembles from 40 Maine high schools competing Saturday at the festival at South Portland High School. 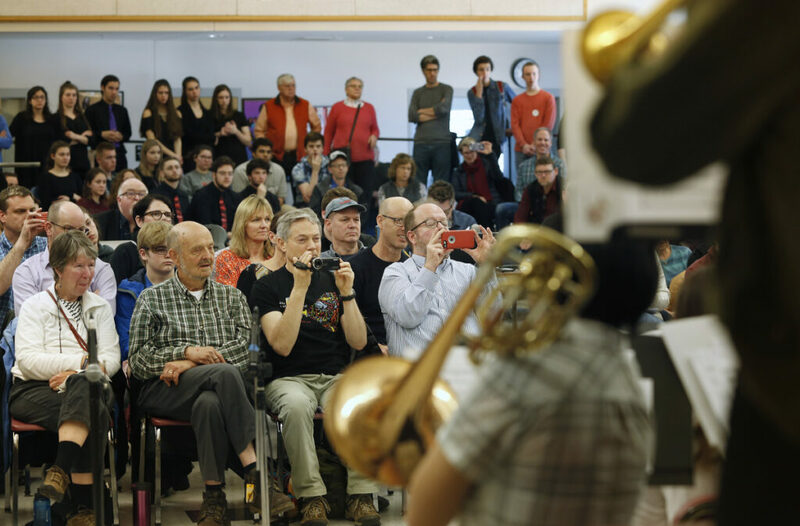 More than 2,000 people descended on the school for the two-day festival, which opened Friday, said Craig Skeffington, South Portland band director and chairman of instrumental jazz at the association. The event draws spectators from across the state, and not just band parents. 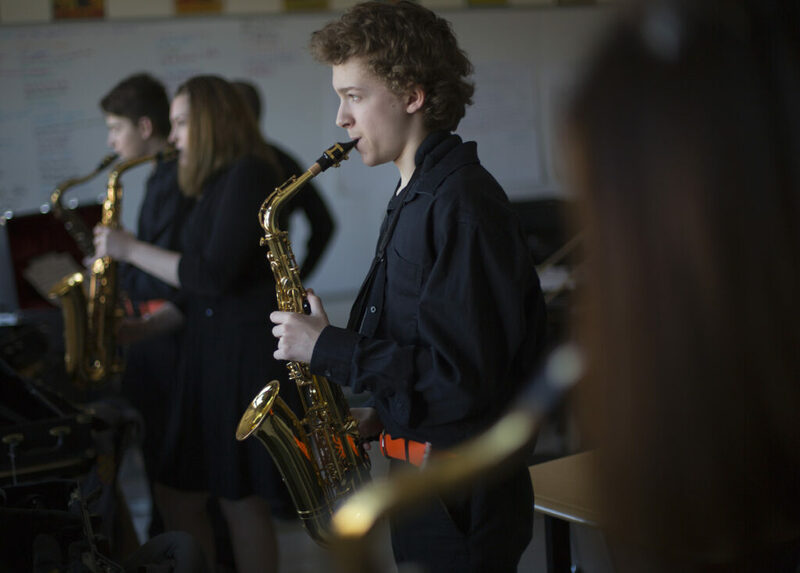 A contingent of eight students from Caribou High School drove five hours just to watch, not perform; they included juniors Owen Martin, 17, and Abigail Wimmer, 16, who said they were impressed by the Old Town High School Jazz Ensemble. Owen gave them the best marks for the day so far because of their groove. Abigail said it was their depth. “They had the most balance, and overall every piece was together,” Abigail said. South Portland was not initially scheduled to host the event, but the original host school had to drop out. Skeffington said that despite the late notice, the festival went off without a hitch. Each band had 25 minutes to win over the judges, who looked at factors such as the ability to play together and musical selection. 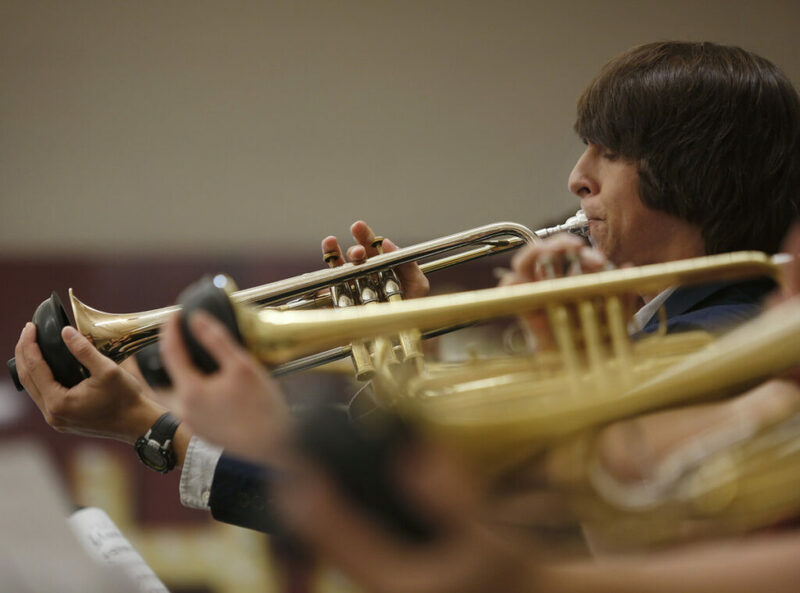 Some high schools have a strong jazz band tradition, which can be partly driven by the director, Skeffington said. Some music directors are more oriented to jazz than to concert or marching bands. “And part of it is the kids and their work ethic. If the band has been good, they want to carry on that tradition,” Skeffington said. 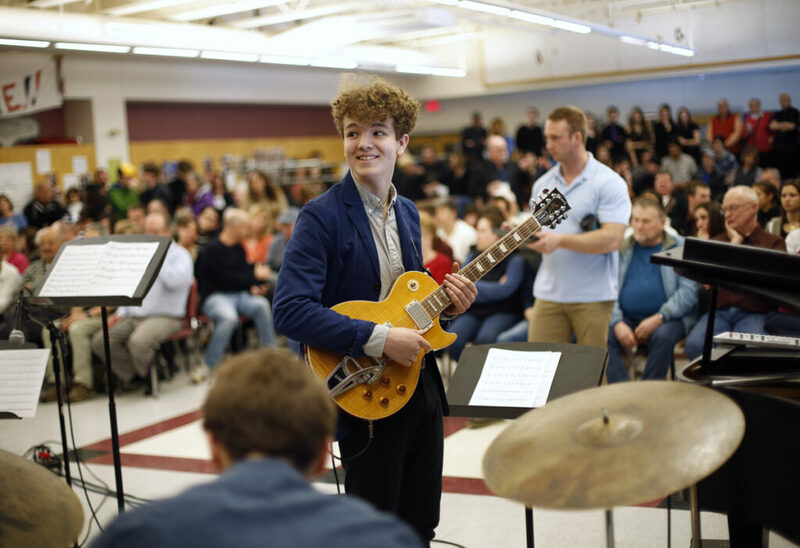 About a half dozen Maine high schools consistently do well in national high school jazz competitions. At this year’s Berklee Jazz Festival in Boston, Cape Elizabeth High School placed second, South Portland and Mount Desert Island third, and Fryeburg Academy and Westbrook High School fourth, in their respective divisions. On Saturday, Beth Chapman traveled from Old Town to hear her son, Alex Chapman, play alto sax with the Old Town High School Jazz Band. She said her son, a senior, has played since fourth grade and will probably continue in college. “It is just a part of him now,” she said. 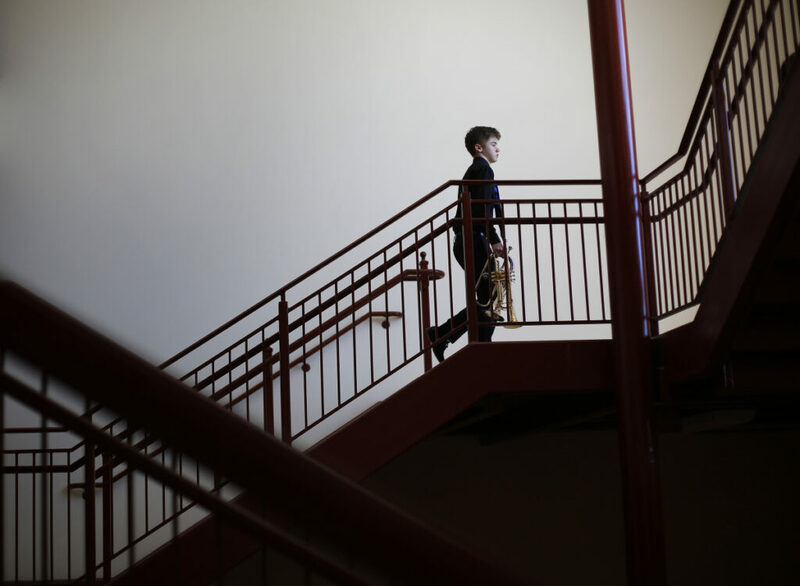 Evan Robbins, 15, of Cape Elizabeth, a freshman at Baxter Academy, was making his festival debut on the trombone with the school’s 12-member high school jazz band. “It was the little band that could,” said his father, Tim Robbins. Evan said he was nervous before the performance, but relaxed once on stage. “I think it went pretty well,” he said.